The Only Good System Festival takes place throughout Berlin between April 19 and 21. A good festival is nothing without a good sound system, but how many festivals actually celebrate the systems themselves? A new Berlin festival, The Only Good System, is seeking to change that. It seeks to put the materiality and practices of bass and sound system culture front and center. The festival will take place across three days around the German capital. On April 19, UK bass wizard The Bug will present his legendary PRESSURE event on a VOID Incubus rig at Radialsystem. He will be joined by grime elder statesman Flowdan, Israeli dancehall MC, Miss Red, Bristol soundsmith Ossia as well as members of Kingston’s experimental dancehall crew Equiknoxx. On April 20, sonic warfare will be waged, quite literally. 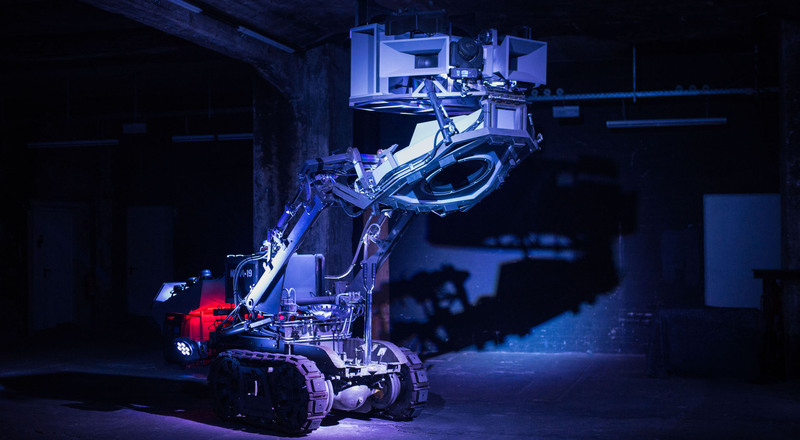 Nik Nowak will bring his two-ton sound tank, The Mantis (pictured above), to an open air where Le1F, rappers Ché und ALI and Infinite Lifez will perform. To learn more about Nowak’s insane invention and his interest in the pyschological properties of extreme sound, check out this fascinating interview with him from earlier this year. Finally, on April 21, the festival takes over the Lion’s Den soundsystem at YAAM for a night that traverses the myriad of global bass cultures. Mark Ernestus will perform with long-time collaborator Tikiman, while Sarah Farina, Uta and the Version crew will also be on duty to make your bones rattle with bass. Plus, there will be a full program of discussions detailing the cultural, social and political impact of soundsystem culture from the likes of acclaimed theorists Carolyn Cooper and Diedrich Diederichsen. If that’s not enough, there’s also a future event with the legendary Killasan soundystem—which you can read a history of here—planned. To check out the full lineup, head to the festival website here.